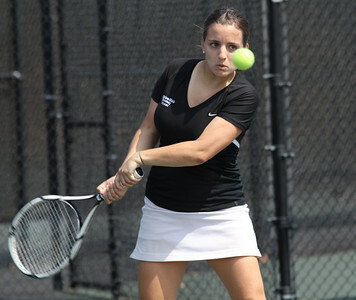 Junior Ioana Oprea returns a serve against a Pfeiffer University opponent on March 19th, 2011. 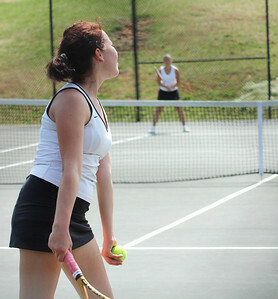 A member of the Falcon squad serves to GWU's Ioana Oprea. 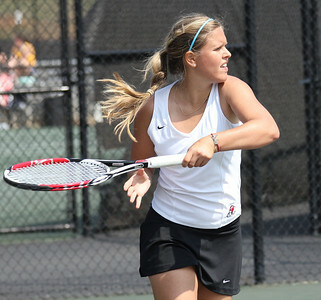 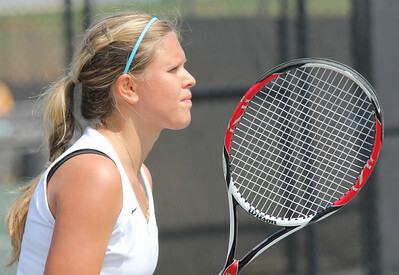 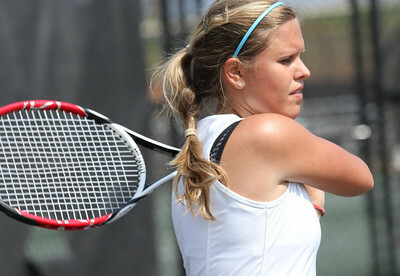 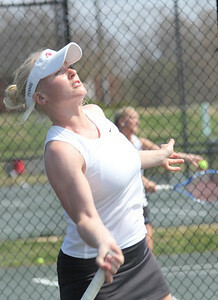 Laura Kriett plays in a match against Pfeiffer University on March 19th, 2011. 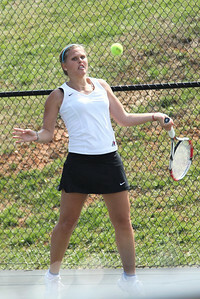 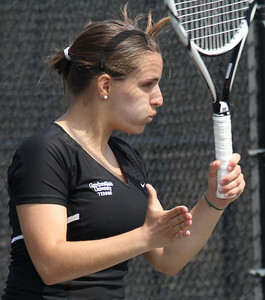 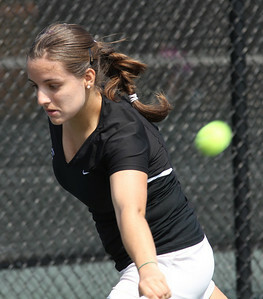 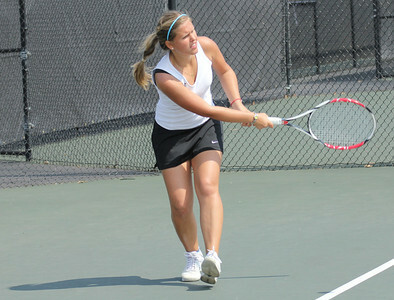 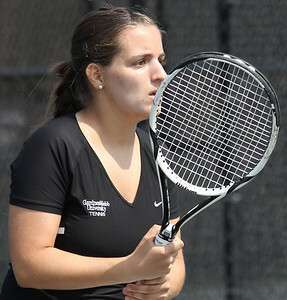 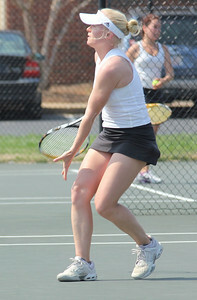 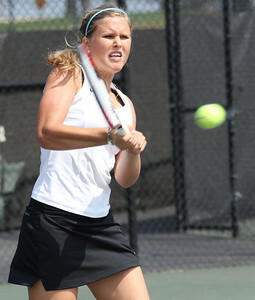 Senior Rita Gouveia plays in a singles match on March 19th, 2011 against an opponent from Pfeiffer University. 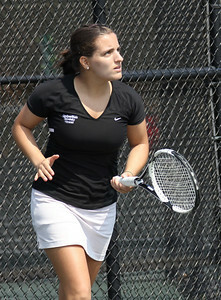 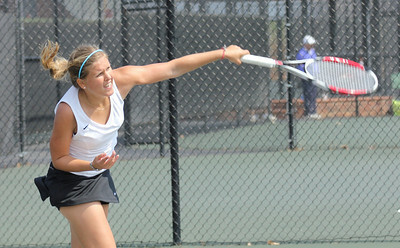 Junior Ioana Oprea plays against a Pfeiffer University opponent on March 19th, 2011.